Hello, I've got a shrub in my backyard; it has leaves off in groups of 3 and it has multiple reddish berries in groups by the dozens. I'm not sure what plant it is. The shrub is stick-like and approximately four feet high. I've got pictures of the shrub and would like for you to see them. I've got dogs and want to make sure the plant isn't poisonous. Thank you for your time. Rhus aromatica (Fragrant sumac) fits your description—if you are saying that it has leaves in groups of three, but they are not on the shrub now. It would be most unusual for the fragrant sumac to have leaves in the winter. A few might persist, but in general they are a deciduous shrub. If your shrub is fragrant sumac, it is NOT listed as toxic on the ASPCA Toxic and Non-Toxic Plant List – Dogs nor any other poisonous plant database that I consulted. If fragrant sumac is NOT your plant, then I suggest that you look through the native shrubs for Tennessee by doing a COMBINATION SEARCH on our Native Plant Database, choosing "Tennessee" under Select State or Province and "Shrub" under Habit (general appearance). This will give you a list of 151 shrubs that are native to Tennessee. 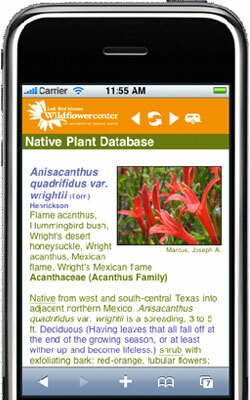 If your shrub is not a native plant, however, it won't appear in our Native Plant Database. In that case, please visit our Plant Identification page to find links to several plant identification forums that will accept photos of plants for identification. March 02, 2016 - Should I trim off the old flower stems from this years bloom on a Texas Mountain Laurel? Are dogwood trees poisonous to horses? April 26, 2009 - Are dogwood trees poisonous to horses?